B O O T L E A D: Israel! "The biggest madness that a man can make, is to leave itself to die". Israel! "The biggest madness that a man can make, is to leave itself to die". The second holocaust will not be like the first. The Nazis, of course, industrialized mass murder. But still, the perpetrators had one-on-one contact with the victims. They may have dehumanized them over months and years of appalling debasement and in their minds, before the actual killing. But, still, they were in eye and ear contact, sometimes in tactile contact, with their victims. The Germans, along with their non-German helpers, had to round up the men, women and children from their houses and drag and beat them through the streets and mow them down in nearby woods or push and pack them into cattle cars and transport them to the camps, where "Work makes free," separate the able-bodied from the completely useless and lure them into "shower" halls and pour in the gas and then take out, or oversee the extraction of, the bodies and prepare the "showers" for the next batch. The second holocaust will be quite different. One bright morning, in five or 10 years, perhaps during a regional crisis, perhaps out of the blue, a day or a year or five years after Iran's acquisition of the Bomb, the mullahs in Qom will convene in secret session, under a portrait of the steely-eyed Ayatollah Khomeini, and give President Mahmoud Ahmadinejad, by then in his second or third term, the go-ahead. The orders will go out and the Shihab III and IV missiles will take off for Tel Aviv, Beersheba, Haifa and Jerusalem, and probably some military sites, including Israel's half dozen air and (reported) nuclear missile bases. Some of the Shihabs will be nuclear-tipped, perhaps even with multiple warheads. Others will be dupes, packed merely with biological or chemical agents, or old newspapers, to draw off or confuse Israel's anti-missile batteries and Home Front Command units. With a country the size and shape of Israel (an elongated 20,700 square kilometers), probably four or five hits will suffice: No more Israel. A million or more Israelis in the greater Tel Aviv, Haifa and Jerusalem areas will die immediately. Millions will be seriously irradiated. Israel has about seven million inhabitants. No Iranian will see or touch an Israeli. It will be quite impersonal. Some of the dead will inevitably be Arab - 1.3 million of Israel's citizens are Arab and another 3.5 million Arabs live in the semi-occupied West Bank and Gaza Strip. Jerusalem, Tel Aviv-Jaffa and Haifa have substantial Arab minorities. And there are large Arab concentrations immediately around Jerusalem (in Ramallah-Al Bireh, Bir Zeit, Bethlehem) and outside Haifa. Here, too, many will die, immediately or by and by. 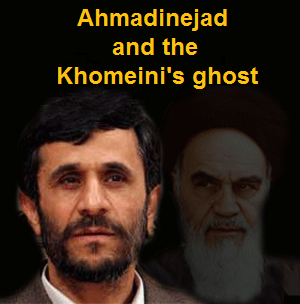 It is doubtful whether such a mass killing of fellow Muslims will trouble Ahmadinejad and the mullahs. The Iranians don't especially like Arabs, especially Sunni Arabs, with whom they have intermittently warred for centuries. And they have a special contempt for the (Sunni) Palestinians who, after all, though initially outnumbering the Jews by more than 10 to 1, failed during the long conflict to prevent them from establishing their state or taking over all of Palestine. Besides, the Iranian leadership sees the destruction of Israel as a supreme divine command, as a herald of the second coming, and the Muslims dispatched collaterally as so many martyrs in the noble cause. Anyway, the Palestinians, many of them dispersed around the globe, will survive as a people, as will the greater Arab nation of which they are part. And surely, to be rid of the Jewish state, the Arabs should be willing to make some sacrifices. In the cosmic balance sheet, it will be worth the candle. A question may nevertheless arise in the Iranian councils: What about Jerusalem? After all, the city contains Islam's third holiest shrines (after Mecca and Medina), Al Aksa Mosque and the Mosque of Omar. But Ali Khamenei, the supreme spiritual leader, and Ahmadinejad most likely would reply much as they would to the wider question regarding the destruction and radioactive pollution of Palestine as a whole: The city, like the land, by God's grace, in 20 or 50 years' time, will recover. And it will be restored to Islam (and the Arabs). And the deeper pollution will have been eradicated. To judge from Ahmadinejad's continuous reference to Palestine and the need to destroy Israel, and his denial of the first Holocaust, he is a man obsessed. He shares this with the mullahs: All were brought up on the teachings of Khomeini, a prolific anti-Semite who often fulminated against "the Little Satan." To judge from Ahmadinejad's organization of the Holocaust cartoon competition and the Holocaust denial conference, the Iranian president's hatreds are deep (and, of course, shameless). He is willing to gamble the future of Iran or even of the whole Muslim Middle East in exchange for Israel's destruction. No doubt he believes that Allah, somehow, will protect Iran from an Israeli nuclear response or an American counterstrike. Allah aside, he may well believe that his missiles will so pulverize the Jewish state, knock out its leadership and its land-based nuclear bases, and demoralize or confuse its nuclear-armed submarine commanders that it will be unable to respond. And, with his deep contempt for the weak-kneed West, he is unlikely to take seriously the threat of American nuclear retaliation. Or he may well take into account a counterstrike and simply, irrationally (to our way of thinking), be willing to pay the price. As his mentor, Khomeini, put it in a speech in Qom in 1980: "We do not worship Iran, we worship Allah... I say, let this land [Iran] burn. I say let this land go up in smoke, provided Islam emerges triumphant..."
For these worshipers at the cult of death, even the sacrifice of the homeland is acceptable if the outcome is the demise of Israel. Deputy Defense Minister Ephraim Sneh has suggested that Iran doesn't even have to use the Bomb to destroy Israel. Simply, the nuclearization of Iran will so overawe and depress Israelis that they will lose hope and gradually emigrate, and potential foreign investors and immigrants will shy away from the mortally threatened Jewish state. These, together, will bring about its demise. But my feeling is that Ahmadinejad and his allies lack the patience for such a drawn-out denouement; they seek Israel's annihilation in the here and now, in the immediate future, in their lifetime. They won't want to leave anything up to the vagaries of history. As with the first, the second holocaust will have been preceded by decades of preparation of hearts and minds, by Iranian and Arab leaders, Western intellectuals and media outlets. Different messages have gone out to different audiences, but all have (objectively) served the same goal, the demonization of Israel. Muslims the world over have been taught: "The Zionists/Jews are the embodiment of evil" and "Israel must be destroyed." And Westeners, more subtly, were instructed: "Israel is a racist oppressor state" and "Israel, in this age of multiculturalism, is an anachronism and superfluous." Generations of Muslims and at least a generation of Westerners have been brought up on these catechisms. The build-up to the second holocaust (which, incidentally, in the end, will probably claim roughly the same number of lives as the first) has seen an international community fragmented and driven by separate, selfish appetites - Russia and China obsessed with Muslim markets; France with Arab oil - and the United States driven by the debacle in Iraq into a deep isolationism. Iran has been left free to pursue its nuclear destiny and Israel and Iran to face off alone. But an ultimately isolated Israel will prove unequal to the task, like a rabbit caught in the headlights of an onrushing car. Last summer, led by a party hack of a prime minister and a small-time trade unionist as defense minister, and deploying an army trained for quelling incompetent and poorly armed Palestinian gangs in the occupied territories and overly concerned about both sustaining and inflicting casualties, Israel failed in a 34-day mini-war against a small Iran-backed guerrilla army of Lebanese fundamentalists (albeit highly motivated, well-trained and well-armed). That mini-war thoroughly demoralized the Israeli political and military leaderships. Since then, the ministers and generals, like their counterparts in the West, have looked on glumly as Hizbullah's patrons have been arming with doomsday weapons. Perversely, the Israeli leaders may even have been happy with Western pressures urging restraint. Most likely they deeply wished to believe Western assurances that somebody, somehow - the UN, G-8 - would pull the radioactive chestnuts out of the fire. There are even those who fell for the outlandish idea that a regime change in Teheran, driven by a reputedly secular middle class, would ultimately stymie the mad mullahs. But even more to the point, the Iranian program presented an infinitely complex challenge for a country with limited conventional military resources. Taking their cue from the successful IAF destruction of Iraq's Osirak nuclear reactor in 1981, the Iranians duplicated and dispersed their facilities and buried them deep underground (and the Iranian targets are about twice as far from Israel as was Baghdad). Taking out the known Iranian facilities with conventional weapons would take an American-size air force working round-the-clock for more than a month. At best, Israel's air force, commandos and navy could hope to hit only some of the components of the Iranian project. 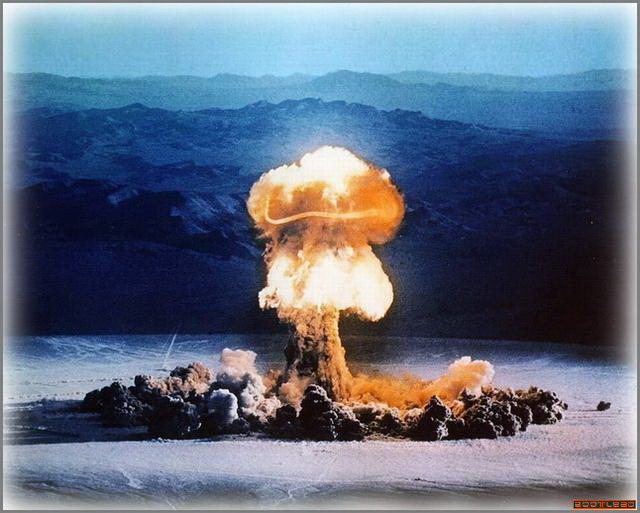 But, in the end, it would remain substantially intact - and the Iranians even more determined (if that were possible) to attain the Bomb as soon as possible. It would also, without doubt, immediately result in a world-embracing Islamist terrorist campaign against Israel (and possibly its Western allies) and, of course, near-universal vilification. Orchestrated by Ahmadinejad, all would clamor that the Iranian program had been geared to peaceful purposes. At best, an Israeli conventional strike could delay the Iranians by a year or two. In short order, therefore, the incompetent leadership in Jerusalem would soon confront a doomsday scenario, either after launching their marginally effective conventional offensive or in its stead, of launching a preemptive nuclear strike against the Iranian nuclear program, some of whose components are in or near major cities. Would they have the stomach for this? Would their determination to save Israel extend to preemptively killing millions of Iranians and, in effect, destroying Iran? This dilemma had long ago been accurately defined by a wise general: Israel's nuclear armory is unusable. It can only be used too early or too late. There will never be a "right" time. Use it "too early," meaning before Iran acquires similar weapons, and Israel will be cast in the role of international pariah, a target of universal Muslim assault, without a friend in the world; "too late" means after the Iranians have struck. What purpose would that serve? So Israel's leaders will grit their teeth and hope that somehow things will turn out for the best. Perhaps, after acquiring the Bomb, the Iranians will behave "rationally"? But the Iranians are driven by a higher logic. And they will launch their rockets. And, as with the first Holocaust, the international community will do nothing. It will all be over, for Israel, in a few minutes - not like in the 1940s, when the world had five long years in which to wring its hands and do nothing. After the Shihabs fall, the world will send rescue ships and medical aid for the lightly charred. It will not nuke Iran. For what purpose and at what cost? A terrible episode happened with Mrs. Grynberg. The Ukrainians and Germans, who had broken into her house, found her giving birth. The weeping and entreaties of bystanders didn't help and she was taken from her home in a nightshirt and dragged into the square in front of the town hall. There... she was dragged onto a dumpster in the yard of the town hall with a crowd of Ukrainians present, who cracked jokes and jeered and watched the pain of childbirth and she gave birth to a child. The child was immediately torn from her arms along with its umbilical cord and thrown - It was trampled by the crowd and she was stood on her feet as blood poured out of her with bleeding bits hanging and she stood that way for a few hours by the wall of the town hall, afterwards she went with all the others to the train station where they loaded her into a carriage in a train to Belzec. In the next holocaust there will be no such heart-rending scenes, of perpetrators and victims mired in blood (though, to judge from pictures of Hiroshima and Nagasaki, the physical effects of nuclear explosions can be fairly unpleasant). But it will be a holocaust nonetheless. Benny Morris is a professor of Middle Eastern history at Ben-Gurion University in Israel. Published in "The Jerusalem Post". "Faith is powerful enough to immunize people against all appeals to pity, to forgiveness, to decent human feelings. It even immunizes them against fear, if they believe that a martyr’s death will send them straight to heaven. What a weapon! Religious faith deserves a chapter to itself in the annals of war technology, on an even footing with the longbow, the warhorse, the tank, and the hydrogen bomb." Richard Dawkins, in "The Selfish Gene." Where is BOOTLEAD? Click here to know. O poema que adiante reproduzo é de autoria de Paulo César Pinheiro, Foi gravado pelo compositor e percussionista Wilson das Neves há 14 anos, num CD que é hoje raridade. Foi escrito há uns 16 anos. Qual é a sua tarefa, leitor amigo? Copiar esta lista, colar, botar no OrKut, no e-mail da namorada, do namorado, do ficante, do amigo, da amiga, do/a amante, do inimigo também. Imprima. Se for viajar, leva junto umas 20 cópias. Distribua àqueles que estiverem sofrendo com você nas filas, na sala de embarque, na poltrona ao lado. Quem puxa a lista do boicote à investigação? O PT. Vejam ali: 77 votos contra a CPÌ. Depois, vem o PMDB, com 65. Faça com que esta lista se multiplique em milhões de listas Brasil afora. Abaixo assinado em defesa da CPI do apagão aéreo. Após vinte anos de intenso trabalho, iniciado em abril de 1964 e encerrado em 19 de abril de 1985, os Militares entenderam que os objetivos da revolução foram alcançados e a missão de tirar o Brasil do inferno estava completada, pois, de país inadimplente que era, face à comunidade internacional, passou a ter a oitava economia do mundo e ser respeitado!!! A razão de tal transformação é simples, insofismável !!! Os governos ditos "ditatoriais" pautaram pela honradez e seriedade, tendo como objetivo principal o desenvolvimento e o progresso do País !!! Absolutamente desprovidos de pretensões outras que não fossem proporcionar à sociedade nacional a Ordem e a Autoridade, exercendo-as de modo que fossem inequivocamente cumpridos os deveres e respeitados os direitos, dentro dos limites da lei, condições indispensáveis e fundamentais para que vivêssemos e trabalhássemos em PAZ e com SEGURANÇA, hoje artigo absolutamente inexistente..., as guerrilhas rural e urbana dominam absolutas, não há paz nem segurança e muito menos VERGONHA!!! Os Governos Militares, dentre muitas obras extraordinárias, além de preservarem, dobraram nosso patrimônio, não ABDICANDO de nossa SOBERANIA, nem a NEGOCIANDO !!! Assim, com a MISSÃO CUMPRIDA, foi o governo entregue aos ditos democratas e, em 19 de abril de 1985, o Sr. José Sarney assumiu a presidência da República inaugurando outro período, apelidado de Nova República; a ele se seguiram e se distinguiram os Presidentes Collor, FHC e Lula, todos assessorados pelos seus cupinchas de muito má memória: PC Farias, Serjão , Valério, Delúbio, Dirceu, Silvinho, Genuíno, com dezenas de outros parceiros com o mesmo quilate de honestidade, isto é qualidade não conhecida pelos circunstantes! Não citei o Presidente Itamar por ter sido o único que exerceu o cargo com probidade . Hoje, o Judiciário abúlico, lento e os corruptos do Legislativo subjugados pelo Executivo estão infiltrados, conseqüentemente comprometidos; assim, temos aqueles elementos jogando no mesmo time na ingente tarefa de proteger a quadrilha responsável pela mais escandalosa lavagem de dinheiro, desvio e roubo do erário público conhecido no mundo!!! Podemos e devemos perguntar : o que não temos hoje? O Brasil não pode ter seu destino de Nação Soberana subordinado aos crimes de corrupção, à ganância desenfreada e à lavagem de dinheiro, apadrinhados por políticos e executivos safados, indiferentes à ética e à moral. Não podemos admitir seja o Estado dominado por uma quadrilha que a passos largos promove a mais completa e miserável degradação moral da Nação!!! Esta conjuntura é dirigida pelo socialismo-marxista governamental, maquiagem astuta e enganadora habilmente usada pelos que desejam esconder o ardil usado para o verdadeiro sentido do socialismo-marxista, comunismo puríssimo!!! Quarenta e três anos são passados desde o SALVADOR 31 de MARÇO de 64, quando NOSSO EXÉRCITO, arrostando toda sorte de dificuldades, liderado por CHEFES dignos, integralmente apoiados por seus subordinados, em comunhão com a MARINHA e a FORÇA AÉREA impediu que em nosso BRASIL fosse instalada uma República Sindicalista de inspiração comunista. A bazofia que hoje querem nos impingir, este simulacro de democracia que vivemos, não passa de um grande embuste. Repito, o BRASIL não pode continuar aceitando os ditames dessa oligarquia financeira de comunistas e larápios, tida como socialista, que nos levará a desmoralização e à abdicação do status de Nação Soberana Íntegra e Democrata!!! SALVE 31 de Março de 1964 !! !